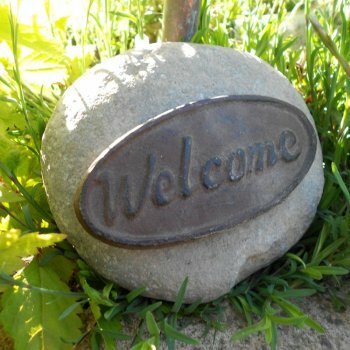 This classic stone decoration from Ruddick Garden Gifts has a metal plaque on the front with the word "Welcome" on. Situate it by your front door to welcome guests to your home or by your garden gate to entice them into your garden. This would make a brilliant house warming gift.